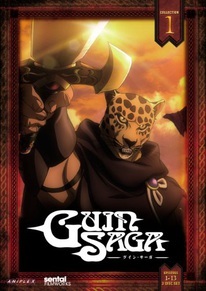 He awakens in the dark forest of a mythical land with some type of leopard mask that he cannot remove. The only thing he remembers is his name - Guin - and that he is a warrior of unimaginable power. And when the two twins of Parros, innocent victims of a civil war, arrive, Guin knows what he must do. But the journey to save the children means much more than just slaughtering a few hundred well-trained Mongoul soldiers. Victory means he must battle magical desert tribes, assemble forces that have fought each other for hundreds of years, and divine a mysterious plan that he is central to.